Jacob D. Albright, Co. B 2nd GA INF, C.S.A. Lewis Pitts Culpepper, Jr. is the father of Connor Clay Culpepper, born __ 1987 in Guilford Co., NC. Lewis Pitts Culpepper, Jr. is the father of Christopher Patrick Culpepper, born __ 1990 in Guilford Co., NC. Biography* � John W. C. Culpepper was born in Arkansas and was noted in Darysaw west of Pine Bluff with his parents in the 1860 Jefferson Co., AR census and 1870 Grant Co., AR census records. The family was apparently living in an area which was taken into Grant Co., AR which was organized in 1869.7 It was apparently sometime after this that John went out on his own. William Harold Broughton, The Cleggs of Old Chatham: the ancestry, family, descendants of Thomas A. Clegg and Bridget Polk, their kin, and events of history, Clegg Family Association, 1977.
p 228; POB Mrs. Tom Logan Family Group Sheet. p 228; obit at home of Mrs. A. B. (Sallie Culpepper) Williams. p 228; date from obituary. Jefferson County, AR, Miscellaneous Records on microfilm 1927 -- 1961, at the county courthouse; (n.p. : n.pub.). She was born August 1, 1856 in Jefferson Co.,4 Arkansas, the second child in a family of 10 children. Though only five years of age when the Civil War broke out - she was a useful child around the house and when her father came home with a minie ball in his shoulder - it was she who washed and dressed the terrible wound and washed the awful rags to dress it with and nursed him back to health, he always claimed. He lost the use of his arm completely. She attended and taught in the Sixth Avenue School here in the early '70's. On July 19, 1881 she was married to Alexander Burgess Williams and for a time was occupied with her own life and family - but was always a good neighbor. A. B. Williams died Feb. 26, 1899 in Pine Bluff. During his life and thereafter she was the mainstay of the community in sickness and adversity, during those early days when doctors were few and far between and telephones almost unheard of, the trail that is now part of a National Highway - 65 - (Ohio Street) was beaten to her door by folks who needed help - "Send for Mrs. Williams, then if she says so, send for the doctor" was a familiar saying. No one left her house empty handed nor did she ever leave it without a bouquet of flowers, sack of fresh vegetables, bucket of milk, fruit from her own trees, berries from the garden or some token of thoughtfulness for others. She wove beautiful rugs on an old fashioned loom, made quilts, pieced and quilted them preferring to "card" the cotton and gave away hundreds of both quilts and rugs for birthday, graduation, wedding and anniversary presents or just gifts. Many of these are still treasured keepsakes. One year she pieced, quilted and gave 22 quilts to the Jefferson County American Red Cross Chapter and was a liberal contributor to that Organization all through the years with her work - knitting mostly (she made beautiful socks). She was an acute sufferer from a circulatory ailment but despite that she visited the sick and shut-in taking cheerful message and heartening gifts. She was a Charter member of the Carr Memorial Methodist Church and one of its most faithful members and generous contributors. She was a typical pioneer woman - one year when small pox was prevalent (and deadly) she got vaccine and vaccinated several families, white and colored, she pulled teeth delivered white babies when no doctor was available (negroes had their own mid-wives) kept a large vegetable garden - had a big orchard and the only rasberry patch in town - a beautiful flower garden - furnished flowers for weddings and funerals (no charge) and divided plants and bulbs with all who asked. When the Williams family moved to 10 Ave. and Ohio St. in 1894 they built a small cottage on the edge of a "cane-brake," no house obscured the view from there to 6th and Indiana St. It was back breaking work to get the land ready for cultivation, but was very rich soil when ready, and until this day has never needed enriching and everything grows you put in it. 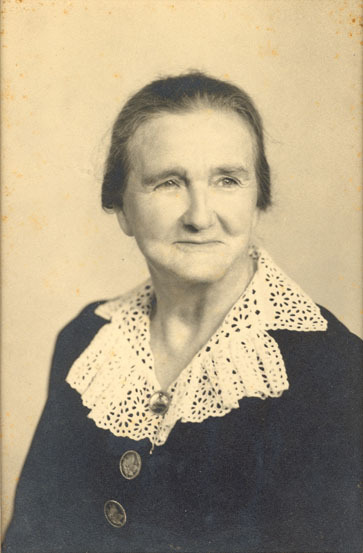 After Burgess Williams death, "Aunt Sally" supported her family - nor did she expect or accept help from any source - she worked with her own two hands - she was not a trained nurse but had plenty of good common sense, faith in her God and a grim determination to do the very best she could with what she had. "Aunt Sally" passed from this earth on March 14, 1940 - she was survived by three daughters, Nancy W. Green; Janet W. Guenther; Corinne W. Hilton. Her favorite saying was "You only keep what you give away." "burial will be in Bellwood cemetery" ("Aunt Sallie Culpepper Dies Here Last Night" [UL:Pine Bluff Commercial:UL] (Jefferson Co., AR) 15 Mar 1940 p. 9, col. 1 & 2) but [UL:The Cleggs of Old Chatham:UL] p. 228 listed Sarah as having been buried in the Clegg Cemetery in Junet, Grant Co., AR. E-mail written 2004 from Lynn Logsdon Williams, e-mail address. Mary BURGESS GMother W Female W 66 SC SC SC. Ms. Arlene LaGrone, compiler, Masonic Deaths in Arkansas 1838 - 1916, PO Box 908, Hot Springs, AR 71902-0908: LaGrone, 1999. Biography* � Joseph Andrew Baxter Culpepper was the son of Elias Daniel and Nancy (Clegg) Culpepper. A one year old Joseph A. B. Culpepper was noted on his parents' farm in the 1860 in the Darysaw P. O. District of Jefferson Co., AR and this is probably where he was born. This farm is now in Grant Co., AR which was organized in 1869.7 On current maps, Darysaw is to the west of Pine Bluff near the border between Jefferson County and Grant County but on the Grant County side of the line. A ten year old "Joseph A. B. Culpepper" was listed with his parents in the "Derasaw" Township of Grant Co., AR in the 1870 census. By the 1880 census, Joseph was apparently going by his middle name, "Baxter." When I knew Uncle Baxter and Aunt Johnnie best, they lived on a farm in Grant County, farmed and raised sheep. One of my treasured graduation gifts was a wool comforter, sheep raised and sheared by Uncle Baxter, carded and quilted by Aunt Sarah [Mrs. A. B. (Sally Culpepper) Williams?] with material furnished by Addie [Mrs. J. H. (Addie Guest) Culpepper?] and Floy [Mrs. J. F. (Floy Culpepper) Guest?]. p 229 but Apr 1858 in 1900 census. Joseph B. Culpepper, Head, M, 70, md@27, AR/AL/AL, No Occup, Vet=N. p 229; location Mrs. Tom Logan letter 19 Mar 1980. Baxter Culpepper, Palm Beach Co., FL, Male, White, Vol 733, Cert 19497, died 1936. Johnie Culpepper, Mother-in-law, F, 62, md@18, MS/MS/MS. Biography* � Francis Louis Elias Culpepper was the son of Elias Daniel and Nancy (Clegg) Culpepper. His parents were noted in the 1860 census in the Darysaw P. O. District of Jefferson Co., AR and this is probably where he was born. On current maps, Darysaw is to the west of Pine Bluff near the border between Jefferson County and Grant County but on the Grant County side of the line. The family was apparently living in an area which was taken into Grant Co., AR which was organized in 1869.7 A seven year old "Francis L. E. Culpepper" was listed with his parents in the "Derasaw" Township of Grant Co., AR in the 1870 census. And a 17 year old "Francis Culpepper" was noted with his parents in the 1880 census of Grant Co., GA.
Ashley Co., AR Marriages Book E, p. 204. Arkansas Genealogical Society, compiler, Arkansas Births Prior to 1902 -- 1942 Filings, Hot Springs, AR: Arkansas Genealogical Society, circa 2002. 1942, Binder 3, Vol. 014, Cert. 947. F. E. Culpepper, Head, M, 67, D, md@27, AR/GA/GA, Farm, General, Vet=No. p 229 at the home of his daughter, Mrs. H. W. Keesee. Ida Floy Culpepper filing, mother's name was Ruthie Lou Ellis; 1942, Binder 3, Vol. 014, Cert. 949. Evelyn Culpepper, Sister, 18, Single, AR/AR/AR, File Clerk at General Electric. Obit: Arkansas Methodist, 21 Dec 1893. Nancy Culpepper, Wife, F, 59. M, md@22, IN/OH/OH, Not employed. Bellwood Cemetery Records, from the cemetery office, Jefferson Co., AR. Louisa Culpepper, Wife, F, W, 44, M, AR/KY/VA. Louise Culpepper, Duval Co., FL, Female, White, Vol 1568, Cert 1043, died 1953. Find A Grave Memorial# 125407428. Find A Grave Memorial# 129991618.
p 229; location based on 1927 obit of John W. C. Culpepper. Find A Grave Memorial# 125407349. E-mail written 2002-2004 to Lew Griffin from Dr. Kenneth D. Cory, San Jose, CA, e-mail address. p 229; 'Okla.' on Mrs. Tom Logan Family Group. Biography � In the 1927 U.S. City Directories, 1821-1989, West Palm Beach, Florida, there is a Joseph Culpepper, meat cutter, listed with spouse Anna. Biography* � The 1930 census lists Joseph living with his brother and sister-in-law in Miami, Florida and gives his marital status as divorced. His occupation is listed as butcher in a retail butcher shop. Joseph H. Culpepper, Brother, M, 36, Div, AR/AR/AR, Butcher/Retail Butcher Shop.